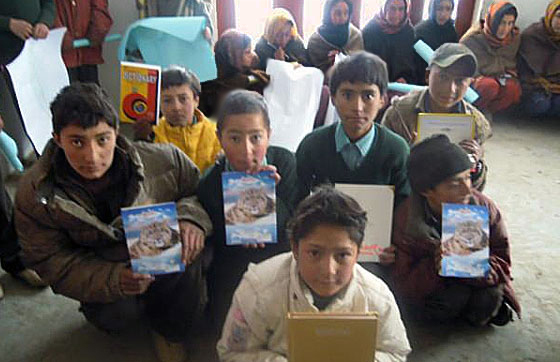 The Snow Leopard Conservancy’s community partnership in Pakistan began in 2003, with conservation and education activities in the Northern Areas region of Baltistan. 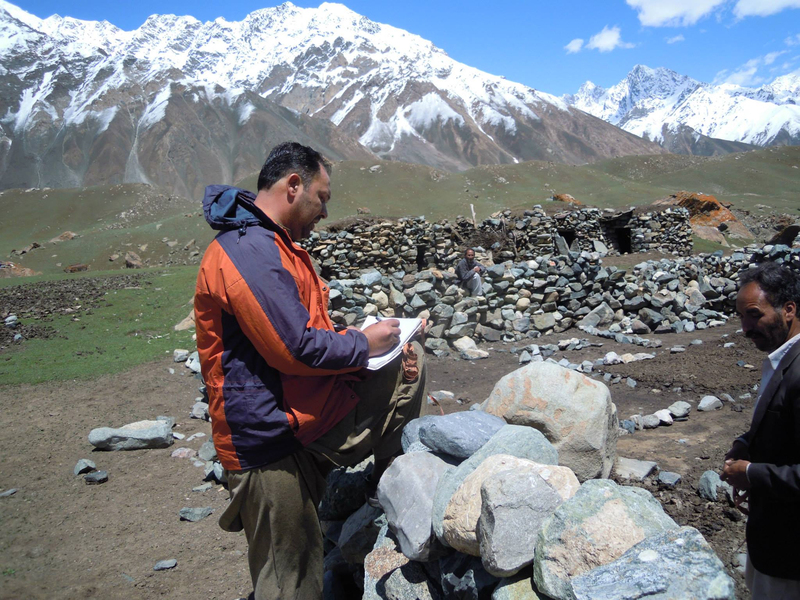 Our collaborative programs focus on corral predator-proofing, improved livestock guarding and livestock insurance programs, environmental education, outreach, and community-based monitoring using snow leopard sign surveys, periodic prey counts and camera trap surveys. In 2004, in the village of Hushe, a snow leopard entered a livestock pen and killed many sheep and goats. In the past, they would have killed this stock-raiding cat, but the community instead released it. For their actions, the Conservancy nominated Hushe for the Disney Wildlife Conservation Fund’s 2004 Hero Award for all of Asia. Hushe village’s demonstration of changing attitudes won them this award. 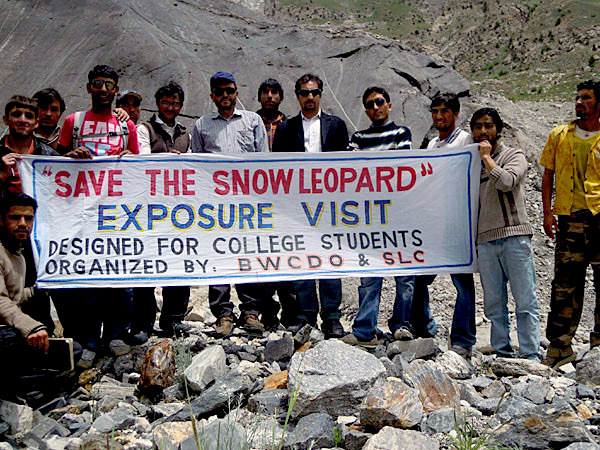 Project Snow Leopard (PSL) is an innovative partnership between the community and private enterprise, founded in 1999 by Dr. Shafqat Hussain. Shafqat developed a unique livestock insurance program that won him an Associate Laureate Rolex Award for Enterprise in 2006, and led to his appointment as National Geographic Society’s Emerging Explorer for 2009. Project Snow Leopard is now part of the Baltistan Wildlife Conservation and Development Organization, directed by Ghulam Mohammad. Activities in Pakistan are centered on six villages adjacent to good quality snow leopard habitat where BWCDO has established Snow Leopard Conservation Committees responsible for managing and monitoring the community projects. 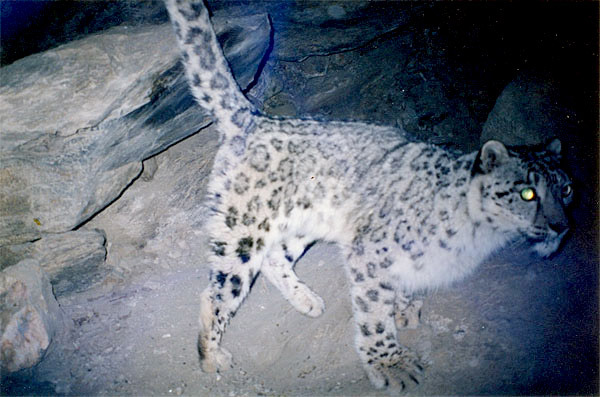 In 2011, then master’s student Bilal Anwar conducted the first food habits study in which scats were genetically confirmed by our associate, Dr. Jan Janecka, to belong to snow leopards.